Welcome to Quick Lit, where we share short and sweet book reviews of what we’ve been reading lately. Jump in anytime and share yours: write about your recent reads on your blog or on your Instagram account, and leave the link in the comments section. This month I’m continuing to read advance review copies for the Summer Reading Guide, which is only a month away now. But I’ve learned that I can’t only read brand new books or I’ll lose my mind, which is why you’ll see an assortment in today’s book list. What have you been reading lately? Tell us all about it in comments or share a link in the comments section to your blog or instagram. I’ve been reading some great books lately! From a prize winner to a cute story about a sentient AI matchmaker. I finally picked up Station Eleven because you love it! I read it because Anne suggested it and I absolutely loved it. It was surprising, because I never would have picked that one for myself. Lesson learned! I did the exact same thing and was surprised by how much I loved it. I’ve recommended it to everyone I know. When going through my book shelf to see what I needed to read next, I discovered that I had picked up Station Eleven totally on my own. It wasn’t until I discovered it on my book shelf that I realized Anne has recommended it! I moved it right up to the top of my TBR list! 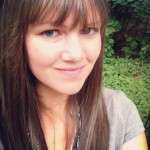 This month I’m all about Emily Freeman’s The Next Right Thing … buying it, reading it, spreading the word! And we’ll be chatting up a storm about selected chapters at my online Sunday Evening Book Club starting April 28th! Beyond the Point and Lost and Wanted are both on my TBR list – the April BOTM selections were SO good that I picked 2 and couldn’t even get to Point or Lost and Wanted. Both my picks (Normal People and Miracle Creek) were 5 star reads though. ooh, I love that you are making a summer reading guide! 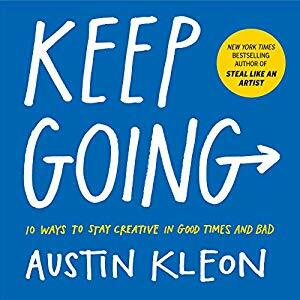 I’d love to read Keep Going. As an aspiring author it would be good to have some tricks up my sleeve for being creative on the days when the words are coming as slow as cold molasses! Have read so many great books lately: The Lost Man, The Current, Daisy Jones and the Six, Book Love, Quiet Girl in a Noisy World, Sisters First, and Inheritance. Almost finished with I Miss You When I Blink. Attended an author event to hear Dani Shapiro speak – I think Hourglass remains my favorite but Inheritance was beautifully written as well. Half looking forward to your summer reading guide and half worried my TBR is going to further explode. The Calm book you mention looks wonderful. I just listened to Inheritence and really enjoyed the poignant and heartfelt story about identity. I haven’t read Inheritance yet, but, I have listened to the entire first season of her podcast, Family Secrets! It is so good. The tenderness and understanding in which Dani speaks to her guests is so wonderful. This month’s reviews include a mystery I LOVED, an atmospheric historical piece, a biography about one of my childhood heroes, and a nonfiction book everyone’s been raving about! I’ve been wanting to read Beyond the Point! I am plowing through the last 4 Maisie Dobbs books because the newest just came in from my library holds! I also just finished American Prison, easily the best book I have read so far this year. So far for April, I’ve read Little House on the Prairie with my kids, Watership Down and The Screwtape Letters. Enjoyed them all! I’m in the midst of Women Talking by Miriam Toews and I am speechless. This fictionalization of a real event is a very powerful testament to the power of ….you guessed….women, talking. I’m only midway through,but when I am not reading this book, I am thinking about it. I am waiting for that one from the library too. Looks powerful and good! Glad to hear you’re enjoying it. I just finished The House of Mirth by Edith Wharton, which I loved. I love when a book takes me on an emotional journey, and, boy did this ever! I just finished that one too and liked it so much more than The Age of Innocence! Would have changed up the ending, but I understand why she was dramatic. I read Caraval by Stephanie Garbar in a day! It had been on my shelf for a few months, and once I opened it, I couldn’t stop! Have already reco’d it to a friend! I also finished The Memory of Lemon by Judith M. Fertig, which I hoped would be similar to Garden Spells, but it wasn’t as enchanting as Sarah Addison Allen’s writing! Coincidentally, all my books this past month had a common thread, nature, which was perfect since spring is making its appearance in full force these days. Two books involved scientists studying the natural world, and in the third, the protagonist escaped the everyday world by hiding out in nature (literally, in a rye field as a child and in the cemetery as an adult). This past month I read Daisy Jones & the Six (sooo good), The Familiars by Stacey Halls (pretty good), Fahrenheit 451 (a masterpiece) and currently reading Middlemarch. I just finished reaching Chillpreneur by Denise Duffield-Thomas and I highly recommend it for all entrepreneurs who want to chill and still make money! 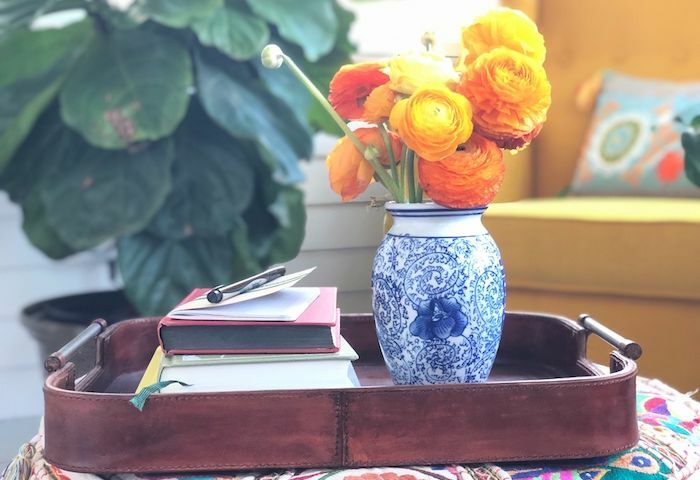 I rounded up last month’s reading here: https://barbarah.wordpress.com/2019/03/31/end-of-march-musings/. My favorite of those was Saving Amelie by by Cathy Gohlke, a novel about the daughter of an WW2 American genetic scientist who hides and saves the deaf daughter of a friend. Excellent! I also enjoyed Steal Away Home by Matt Carter and Aaron Ivey, a fictional book based on the true friendship of C. H. Spurgeon and a freed slave, Thomas Johnson. This month, so far, I’ll Watch the Moon by Ann Tatlock was great. Set just after WW2 and in the midst of polio outbreaks, everyone has their own private sorrows and wrestlings with God. The Fashion Designer by Nancy Moser was really good also, about an English maid whose “American Dream” is to start a business designing and sewing clothes. One book I am currently reading is Booked: Literature in the Soul of Me by Karen Swallow Prior. Much food for thought. Another is How to Understand and Apply the New Testament by Andrew Naselli. Some helpful points I’ve not come across in other “how to study the Bible” books. I just finished Where the Crawdads Sing and loved it! I just finished “Frankenstein” by Mary Shelley as an online book club read. I can’t say it was my favorite all-time book, but I’m trying to read books that I probably should have read years ago. I’m now reading something completely different, “The Big Over Easy” by Jasper Fforde. Hilarious! I read Frankenstein over Christmas and thought it was so exasperating! (Frankenstein is the true monster!) But I was glad to have it finally read. I love Jasper Fforde, but haven’t started the nursery crimes books yet. I’ve been seeing Beyond the Point everywhere! Adding it to my TBR. I’ve been reading an eclectic mix (which is typical for me). 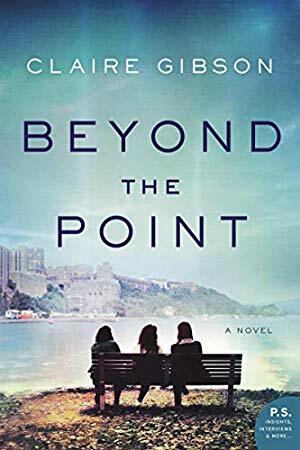 I have Beyond the Point on my TBR and won it in a Kindle giveaway! Glad to hear you enjoyed it! I’ve finished 12 books in the past month-ish, 2 chapter books with my 6 year old and 10 for myself. Trying to fit in some extra non-fiction now since I know I won’t read much of it over the summer! I just finished “Lovely War” by Julie Berry. It is FABULOUS. That’s been on my stack but I haven’t opened it yet, so thank you for sharing it here! Old Baggage, best thing Ive read in ages. Also reading Notes on a Nervous Island which is v good. I just finished The Silent Patient. It was the most captivating book I’ve read in a long time. Also the new Michael Connolly book which I thoroughly enjoyed I love how Renee Ballard helps Bosch. Now I’m finishing up Rleanor Oliphantis is completely fine. I wrote my very first quick lit post on the books I’ve been reading, and I’m excited to participate in this tradition. I’m glad you’re joining in! I am re-reading George Orwell’s 1984 and To Kill a Mockingbird since I am currently teaching both novels, and I always re-read along with my students. For my book club, I am currently reading Ruthless Tide by Al Roker. And for myself, I am reading The Girl You Left Behind by Jojo Moyes. These are all vastly different texts, but I am used to reading several books at the same time. Thanks for all of your regular recommendations! My favorite reads of the past month were Becoming by Michelle Obama and Maybe You Should Talk to Someone by Lori Gottlieb. Two great memoirs! Here’s everything I read this past month. sorry, went back to Mandel books based on the recommendations, but I cant seem to get into her? Am I too old to relate, since I am 64? On a non fiction run right now, because after reading The Library Book by Susan Orlean, I attended a luncheon even with Mary Laura Philpott whose I MISS YOU WHEN I BLINK is definitely not to be missed. Ran into other MMD lovers there and it was such fun! Mary Laura is such a delight—I bet that luncheon was a blast! Mandel has a distinctive style, and if she’s not for you, I think that is okay. Unless you have the opportunity to go to a luncheon with her, in which case I would say, DO IT! This month I finally read The Mothers by Brit Bennett and loved it. It is one of the best books I’ve read this year. After consuming a few of Elly Griffiths’ Ruth Galloway mysteries, I’m on to Swans of 5th Avenue by Melanie Benjamin. March wasn’t a great literary month for me, but I blogged about it nontheless! 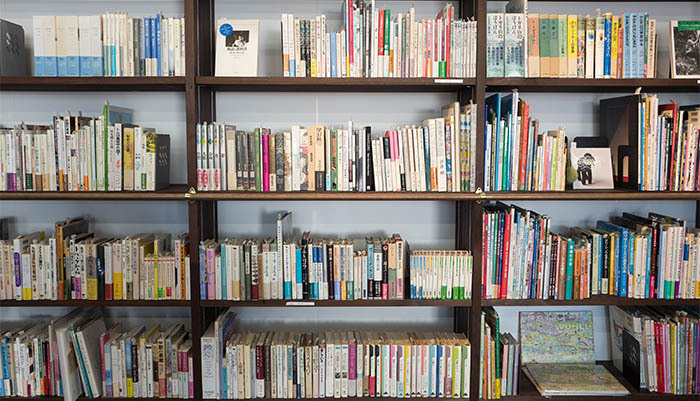 http://blog.lucywyman.me/reading-lately-march-2019.html I enjoyed the family dynamics of ‘The Italian Teacher’, and branched out into some genres I don’t usually read…only to remember why I don’t usually read them. The Chemistry of Calm and Keep Going both sound like books I need to read right now. And I have just bought Women Rowing North by Mary Pipher, Where the Past Begins by Amy Tan, and The Highly Sensitive Person by Elaine Aron. I’ll start on them as soon as I finish re-reading Out of the Valley: Another Year at Wormingford by Ronald Blythe. This is a second collection of his columns from the British Church Times. 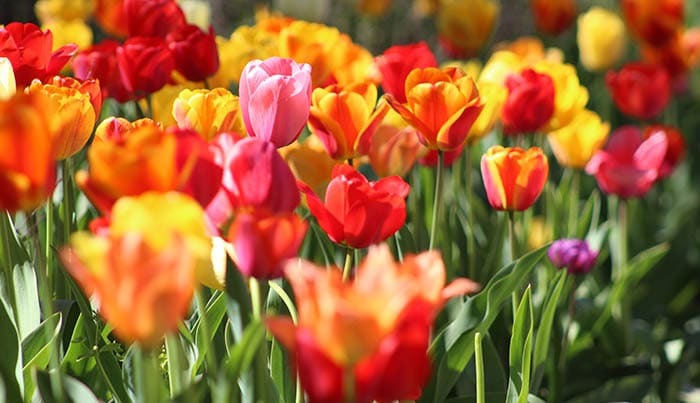 Wise, poignant, and eloquent musings on religion, history, nature, gardening and people. I love Austin Kleon’s blog. I need to pick up his book! Im currently reading a couple things. I started them in January and still haven’t finished them. Avery doesnt make it easy to have much reading time. I keep a reading goal on my instagram stories(Title is Reading Goals) mommyincolorreads. Right now I’m reading The Lacuna by Barbara Kingsolver. You actuall mentioned another of her works on your podcast recently. I have been listening to Diana Gabaldon’s Outlander series. I am currently listening to The Fiery Cross. 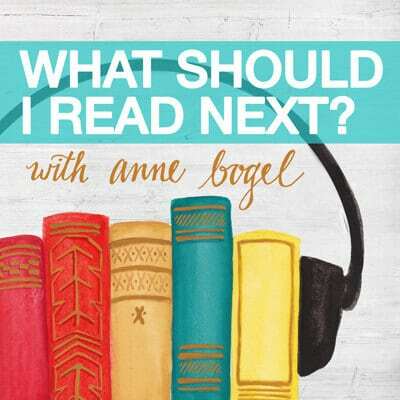 I also finished Yes Please by Amy Poehler, I’d Rather Be Reading by the one and only Anne Bogel and I am also rereading the Harry Potter series and am on book 4. About the opioid crisis in the US. A sobering, sad and necessary read. I’m not a big wilderness or Alaska fan, but I really liked this. Girl in Translation by Jean Kwok. Loved this one. Thanks to your recommendation, I read my first Louise Penny book on spring break! Of course I started with the first one – Still Life. LOVED IT and have ordered the next few in the series. I’m hoping to have “Bury Your Dead” read before a trip to Quebec City in July. I read Still Life in December and then decided I can only read one a month from the series or else I might just indulge and read them all in a row! I want to get to Quebec City one day, I’ve been to Montreal. This summer we are going to Nova Scotia. Currently finishing All the Light We Cannot See by Anthony Doerr. So far I love it I enjoy the back and forth and the short chapters. I also recently took the plunge into audible. I listened to my first book yesterday The Dipatcher by John Scalzi. I am getting ready to listen to The Only Woman in the Room by Suzanne Toren. this book is longer, but I want to make sure it is unabridged. I have to get used to listening to books instead of reading them. Sometimes I feel like I am cheating, but like that I can have two books going at once as I have a 1.5 hour commute to and from work everyday. That is also how I found your podcast (lifesaver. Now my TBR list is ridiculous so I need to love books on tape. All the Light We Cannot See is SO GOOD. If I may, for another great book with a WWII setting, I’d recommend Everyone Brave is Forgiven (by Chris Cleave). I am so glad you mentioned Beyond The Point! I just got it from Book of the Month and I knew next to nothing about it. I am really looking forward to reading it. The story sounds fascinating and it is a thick book and that always makes me happy! I am finally getting to read The Alice Network and really enjoying it. Also loved The Time Traveler’s Wife a lot! I cried through the last 80 pages and my rating is HUGGGABLE. Another book I enjoyed was Heat: An Amateur’s Adventures As Kitchen Slave, Line Cook, Pasta-Maker and Apprentice To A Dante Quoting Butcher In Tuscany by Bill Buford. He wrote it based on an article he wrote about chef Mario Batali for The New Yorker and actually worked in Batali’s Babbo restaurant. I was entertained and I learned a lot! I also read an ARC Dutch Girl: Audrey Hepburn In World War II by Robert Matzen. I am an Audrey fan but don’t know much about her beyond her movie career. It was both a biography of her younger years and a history of the Netherlands during WWII. Fantastic book! I also recently read Queenie and loved it! Funny, touching, frustrating and sad. Excellent! My March reading wandered from murder to mindfulness, and I managed to read a whole novel two weekends in a row! Another wonderful list of books here. The Wilson-Hartgrove book sounds particularly interesting to me. I read eight books since the last Quick Lit, including Michelle Obama’s Becoming, Shawn Smucker’s Once We Were Strangers, and the widely acclaimed Washington Black by Esi Edugyan. Just read a relatively new book–The Library Book– will make you so thankful for our libraries. Just finished an older book, A Prayer For Owen Meany. Worth the length. 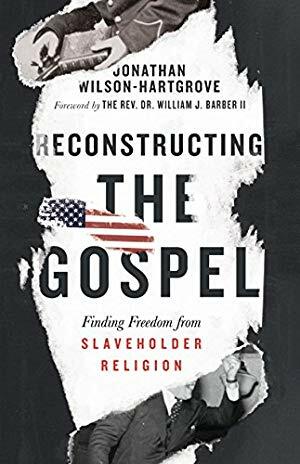 I’m definitely adding Reconstructing the Gospel to my list–sounds super interesting! I’m currently making my way through an ARC of Alice Hoffman’s book, The World That We Knew (definitely a different kind of WWII story! ), The Almost Sisters by Joshilyn Jackson, and Tiny Beautiful Things by Cheryl Strayed. I also just finished Queenie (ignore descriptions that say it’s like Bridget Jones–it’s darker), as well as Purple Hibiscus. Loving Lori Gottlieb’s Maybe You Should Talk to Someone! “Reconstructing the Gospel” sounds like my kind of book. When visiting the National Memorial for Peace and Justice in Montgomery, AL, I saw under Orange County, FL, where I grew up (white), a long list of black lives taken on the same day in 1920. I found a book: “Emancipation Betrayed,” which tells about the history of racism in Florida after the Civil War. On Election Day, 1920, black voters were met with violence. I especially recommend the book for anyone with a Florida connection. I just finished Maid by Stephanie Land on audio and I didn’t want it to end! It’s a great read-next if you loved Educated by Tara Westover, and the audio version is narrated by Land, which I love (and she does a great job). This would be such a great book for book club because there’s tons to talk about. I just finished the audiobook of Jenny Lawson reading Furiously Happy, which I absolutely loved. I am about two-thirds through The Salt Path by Raynor Winn. I was really looking forward to it since I enjoy hiking, but so far I have unfortunately been underwhelmed by it. I never comment, but wanted to second Beyond the Point! I got it from BOTM and finished it in a day or two. I was drawn to it since my cousin went to West Point and his stories about the environment there were fascinating; this book adds an even more interesting layer since it follows women’s experiences. I recently finished Kitchen Yarns by Ann Hood and loved it so much! More than I thought I would. Right now I’m finally reading Picnic at Hanging Rock and enjoying the atmospheric tone. Right now I am read When We Left Cuba by Chanel Cleeton. I loved the first book, Next Year in Havana. That’s the way all historical fiction should be written. It was such a wonderful balance of learning but not a a dry non fiction way. Often books say there are set in a certain time or place but after the first paragraph you almost forget and it teaches you nothing about that time or place. I hadn’t heard of any of these! 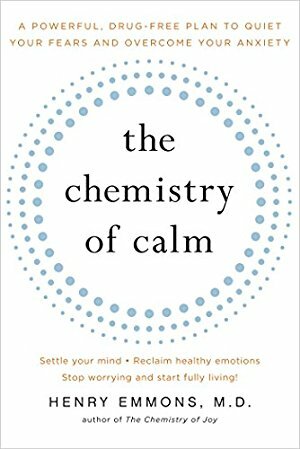 Unfortunately, my personality seems to walk hand-in-hand with anxiety much of the time, so that Chemistry of Calm book sounds like it would be right up my alley! I am reading and listening to Where the Crawdads Sing by Owens. I want to find a day to find a quiet spot and just read it to the end. I am also trying to finish up Bel Canto by Patchett for a staff book club and recently started an advanced copy of a YA book called I Wanna Be Where You Are by Kristina Forest. Thanks for sharing your recent reads, Anne. Several of this month’s books look intriguing. Books have shaped my thinking in so many areas. I took a quick look a few that have made the greatest impact. Oh these are interesting! Thanks for sharing… disappointed in my latest read. I’ve just finished reading ‘The Seasons of Trouble:Life Amid the Ruins of Sri Lanka’s Civil War’. I started ‘A Walk Across the Sun’ by Corban Addison and will be reading ‘Purple Hibiscus’ by Chimamanda Ngozi Adichie for my book club in May. Reconstructing the Gospel looks like it will be a good eye opener for many..adding it to my TBR. Beyond the Point is going on there too! I loved Lost and Wanted. And several of these look really good! Here are my recent reads: https://katieleigh.wordpress.com/2019/04/15/april-reading-roundup-1-7/. I’m definitely going to add The Chemistry of Calm to my reading list. Thanks Anne! I’ve been reading lately with an eye toward middle grade books that would work well for parent/child book clubs. https://abookishhome.com/2019/04/16/start-a-parent-child-book-club/ Two of my top choices are Front Desk by Kelly Yang and Absolutely Almost by Lisa Graff. After a six-month hiatus, I actually managed to get a post of book reviews up! (Let’s just say having three kids in school has not been easy for me to manage.) Some really great ones, especially The Happiness Project and Care and Feeding of Ravenously Hungry Girls. 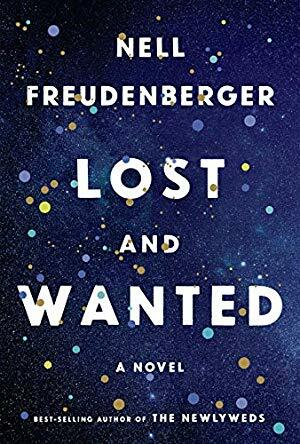 Oh I am definitely putting Lost and Wanted on my list. I love any novel from which I can learn about something esoteric on the side! I don’t think I’ve seen this book mentioned anywhere – I just finished The Orphan of Salt Winds by Elizabeth Brooks and I liked it very much. I’m so glad! I wrote about it in Quick Lit several months ago, but I haven’t seen it around much, either. ‘Beyond the Point’ is on the shelf waiting for me to finish my book club read. March was a decent month for me, but April is booked with activities so I’m missing a lot of reading time. I read 10 excellent books across all genres this month and abandoned 3. Link to blog post with details and ⭐️⭐️⭐️⭐️⭐️! I am anxiously awaiting the MMD summer reading guide! I just devoured Min Jin Lee’s “Pachinko”. It was the shortest tome I ever read; 473 pages in a matter of a handful of days. I am finally reading the Anne of Green Gables series! I just started Anne of Avonlea. I am also working my way through Betty Smith’s A Tree Grows in Brooklyn. Just finished The Stranger in the Woods by Michael Finkel on audio. It’s the account of Christopher Knight, a man who lived in the Maine woods as a hermit for 27 years. It was absolutely fascinating. This month’s reading included: The Lost Girls of Paris,Lillian Boxfish Takes a Walk, Southern Comfort (non-fiction) and The Diary of a Bookseller (non-fiction). Tuesday I heard Doris Kerns Goodwin give a talk and Amor Towles is coming in June to give a talk. I live in Iowa City where the University of Iowa Writer’s Workshop is held and we have an outstanding bookstore, Prairie Lights. So there is a lot of reading encouraged in this area. I am reading the Warmth of Other Suns by Isabel Wilkerson and I cannot put it down. Beautifully written stories about the migration of African Americans out of the South. I am learning so much about the courageous men and women who decided to leave hoping for a better life. I am over 300 pages in! I heard about this book on WSIRN – not sure who the guest was who mentioned it. Also listening to Echo by Pam Munoz Ryan on audio – really enjoying it!